This book explores Louis I. Kahn's approach to tradition as revealed in two of his important, unbuilt, projects. Focusing on Kahn's designs for the Dominican Motherhouse of St. Catherine de Ricci, Media, Pennsylvania (1965-1969), and the Hurva Synagogue, Jerusalem, Israel (1967-1974), the book challenges prevailing aesthetic and methodological assessments of Kahn's use of tradition. 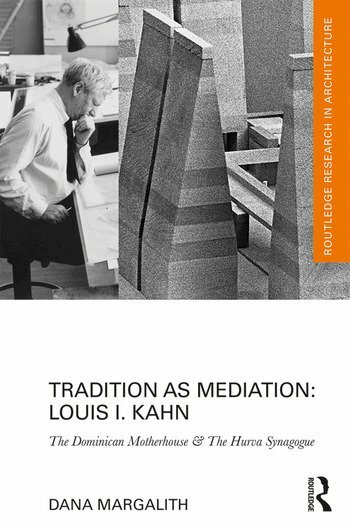 It reveals how an authentic and critical theoretical-historical and humanistic study of tradition nourished Kahn's designs, enabling him to mediate historical rituals, ideas and beliefs – and to develop innovative designs rooted deep in human culture while addressing real modern concerns. The book evaluates Kahn's works as a creative recreation and re-interpretation of the past, shedding light on the potential value of the meaningful consideration of tradition in modern times. Dana Margalith is a lecturer at Tel-Aviv University, Israel, and a practicing architect.